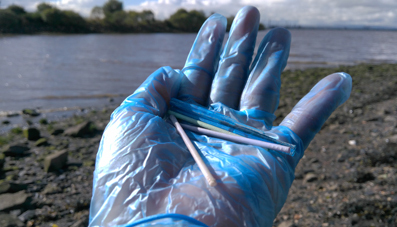 Fidra, the environmental charity behind the UK’s Cotton Bud Project, has welcomed the UK Government’s consultation on proposals to ban plastic-stemmed cotton buds. Plastic cotton bud stems make up a significant proportion of the sewage-related debris found on UK beaches, the charity says. If flushed down toilets, their size and shape mean cotton buds slip through wastewater treatment systems, wash into rivers and seas, and end up on beaches. Research has shown that not only are cottonbuds unsightly, but they are a danger to wildlife. Plastic cotton bud stems were the 8th most common item found on the beach in the Marine Conservation Society’s 2017 Beach Clean Report (with an average of nearly 27 stems found per 100m. Jasper Hamlet, who manages The Cotton Bud Project at Fidra said: “There is now global recognition that we need to re-think the way that plastics are used. This consultation is an opportunity for the UK to demonstrate our commitment to ending plastic pollution. Some retailers and leading manufacturers of cotton buds have already replaced plastic stems with paper.